When deciding where to buy a Cam Bradford Builder new home in Orange County, there are a plethora or good reasons to select Windermere as the site of your new Orlando home. Windermere is a small residential city with great schools, beautiful suburban landscaping, an open feel, warm neighborhoods, and very easy access to Orlando’s larger attractions. Windermere is also just a few miles from Summerlake of Winter Garden and Doctor Phillips where Cam Bradford is also building new homes. Windermere is also the location of our new subdivision, Sawyer Sound. To learn more about Sawyer Sound, click HERE. Windermere is very convenient to several major Orlando highways and toll roads. Windermere is less than five miles from the Florida Turnpike, toll road 408, highway 429, highway 50 and just a few miles more to Interstate 4. Windermere is sandwiched between county roar 535 to the West and 435 to the east allowing a quick commute to the Disney World Parks and Resorts or Universal Studios Parks. This access makes it one of the top choices for employees of Disney to build a new home and settle down. Windermere may be a small city but it is home to several attractions, organizations, and things to do that provide a great quality of life. 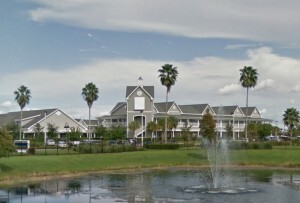 Windermere is home to the Orlando Area Rowing Society (OARS). The reason for this is that Windermere is surrounded by the Butler Chain of Lakes. There are five golf courses surrounding Windermere; West Orange Club, the Golden Bear Club, Arnold Palmer’s Bay Hill Golf Club, Isleworth Golf Club, and the Windermere Country Club. If you are a horse lover, there is an equestrian center, Sunnybrook Farm, which specializes in hunter jumper activities. In addition to water sports, horses, and golf, Windermere is convenient to most everything that else Orlando has to offer. Check out nearby Orlando attractions and Things To Do below.